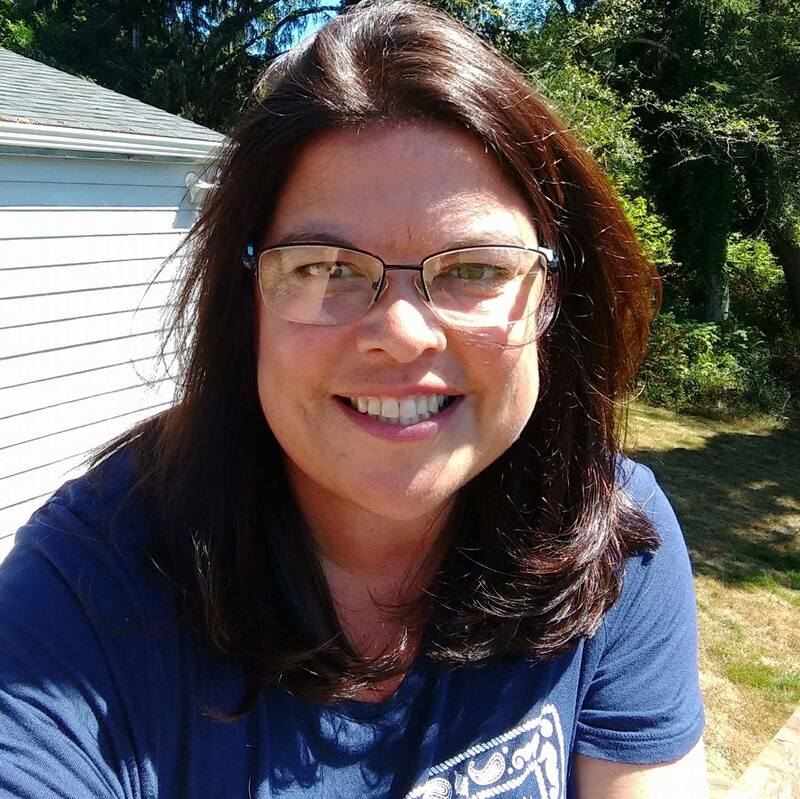 Welcome back to the Virtual Curriculum Fair Week 2 – Our assignment? mathematical thinking, numbers, arithmetic, symbolic logic, critical thinking, and math-y sciences (physics, chemistry, etc.). 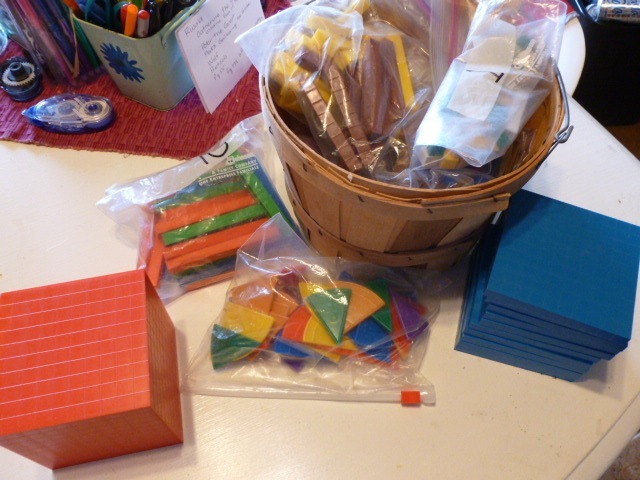 Cuisenairee Rods – and Rod Tracks. So – Maybe I went a little overboard with these when the kids were younger. I have clickable Rods, Smooth Rods, Wooden Rods, Different Colors, etc. I just couldn’t pass them up at garage sales and curriculum sales. . . We have several 1 foot tracks and one 3 foot track. 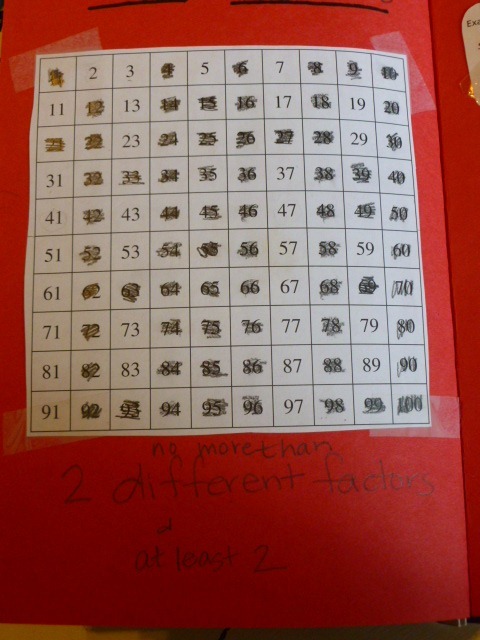 It is a nice 100 count rod, great for multiplication. These handy tools allow a child to easily see that 4 of the #3 rods – equals 12 on the track. Or a line up of 20 individual rods, take a way 3 leaves 17 on the track. When they were younger, through Miquon, all of their math work was used with rods, no memory. 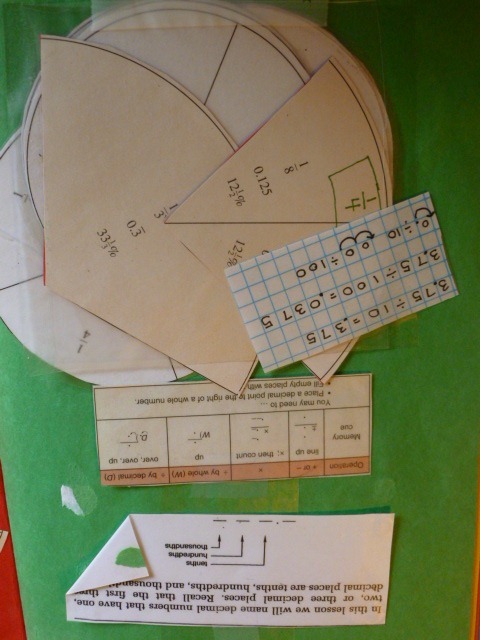 Now, they have a cemented visual of their sets – addition multiplication. One thing we found about the 3r to 4th grade – is that the Spiral Approach made it difficult to remember small facts from week to week. (Learning one topic, then practicing 30 questions, like Saxon). Since we started with Miquon Rods, I continued with the “no memory required” for math. 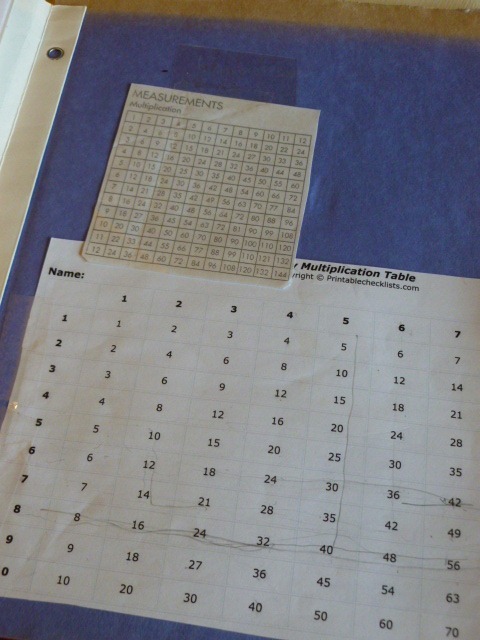 Nate had several charts – pocket, full sheet and wall, that gave him instant access to the multiplication tables. His mind worked well visually this way. It annoyed and frustrated my second son, Jon. We spent a couple of months last year with software and tools to memorize the facts. 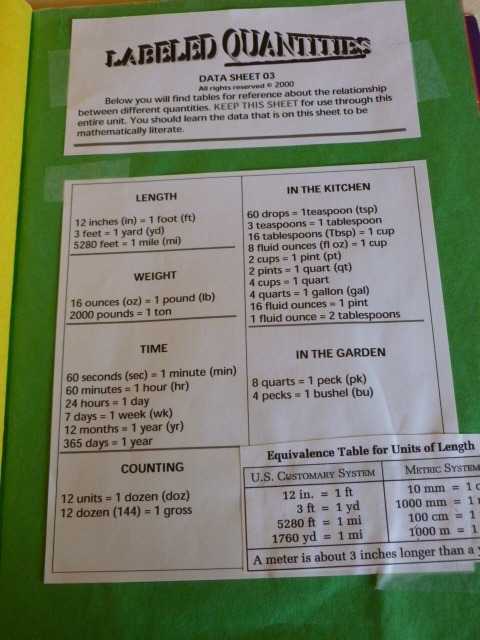 Jon has never used a chart for his math seatwork. Starting with the index in the back, Nate looks up his question. Usually –it is a vocabulary question, or how the curriculum company phrased the question. Or, if it is from memory – Like – Finding a Percent, a quick glance at that page refreshes the problem solving memory, and he’s off with his work. 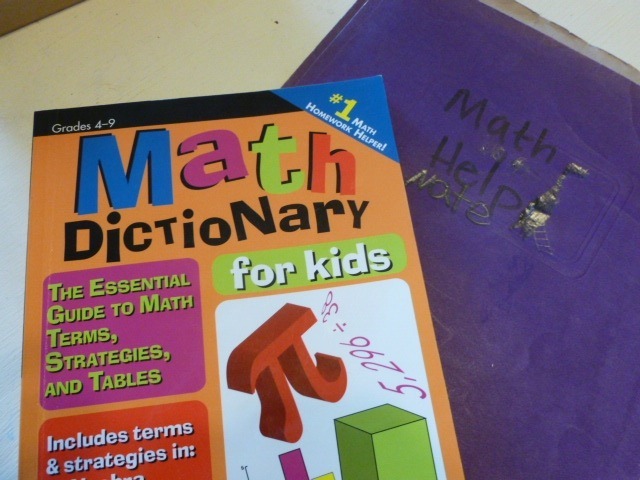 This Dictionary is NOT a How to Do Math per say, I’m not sure it would “teach” you anything – but it is REALLY handy to have during class, so mom doesn’t have to be the answer gal. And, since Nate is a visual learner, the more he sees it, instead of hearing it – the more it cements. Again – Jon – Nope. 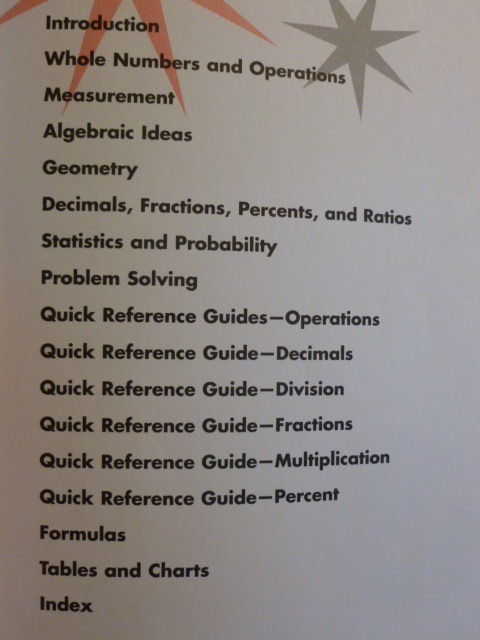 Hasn’t used this once, never made a Math Helps Book – and just seems to memorize everything quickly. Teaching Textbooks for Nathan. He is working through the Pre-Algebra at a boringly fast rate. He finishes his work in less than 25 minutes with 100% accuracy. I think it’s time to ask my friend to borrow the next book. He does the assignment in two days – One day for the Video and Sample Questions, then the next day for the practice problems. He sets his alarm for 25 minutes. He is usually done in 19. Now, he is doing the Video, Sample Problems and Text Problems in 20 minutes. Yep. Time to move on. He spent the last year using just about every math curriculum known to man through our tour with the Review Crew. We’ve tried just about every kind of math delivery system. He prefers worksheets. 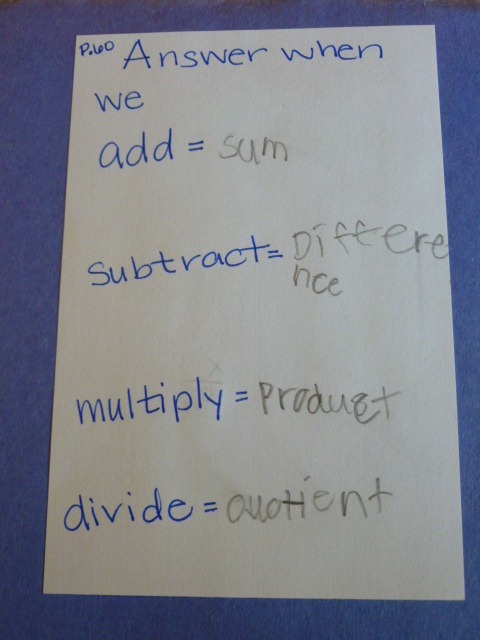 Last year we used the Mathematical Reasoning. 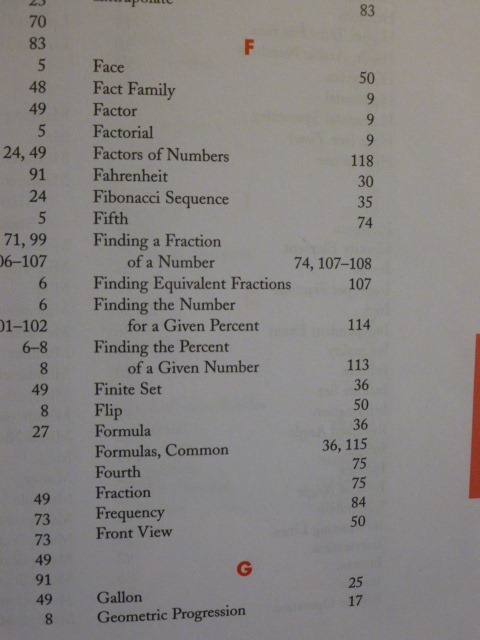 I HIGHLY recommend this book if you have a young student who is well learned in the basic mathematical concepts, but is not mature enough to move on to High School Algebra. 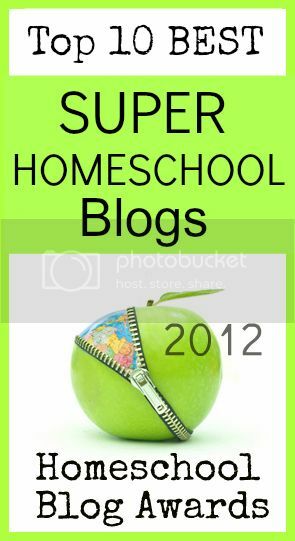 We really enjoyed our time in this book! Jump Math 5 for Jonathan. Junior Undiscovered Math Prodigy. Jon worked his way through all of the Miquon materials, then spent last year along with brother using many products from reviews. He ran into HUGE frustrations with fractions. Every day tears and crying, Jon did well, but I couldn’t handle it. ah! 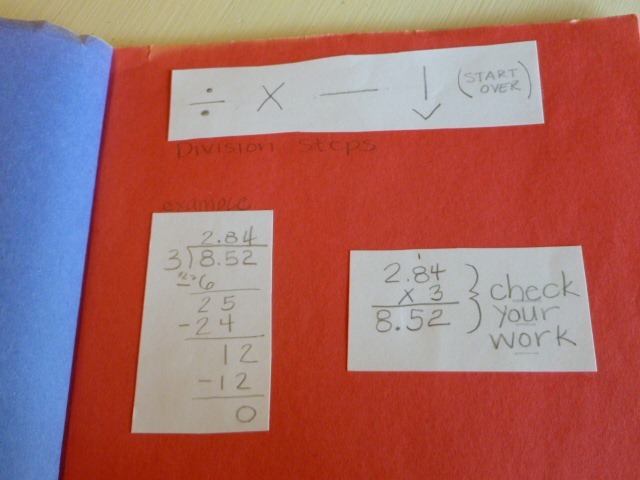 We stopped in November and started memorizing Multiplication Tables – Then worked through some more review opportunities – until this year starting Jump Math 5. Wow. What a difference. He actually writes FUN at the top of each page. We do two pages a day. We will continue with the program until he is ready for Teaching Textbooks Algebra – well, we’ll probably take a break in 8th grade to do Mathematical Reasoning as well, or um, also. Well –that’s my tips for Math. Do a little every day. Play with things. Use a lot of games. Play Black Jack for Additional Sums, bake a lot, always find ways to show what the problem is using real life objects, and just have fun with numbers! Here are the links to the Curriculum Fair! 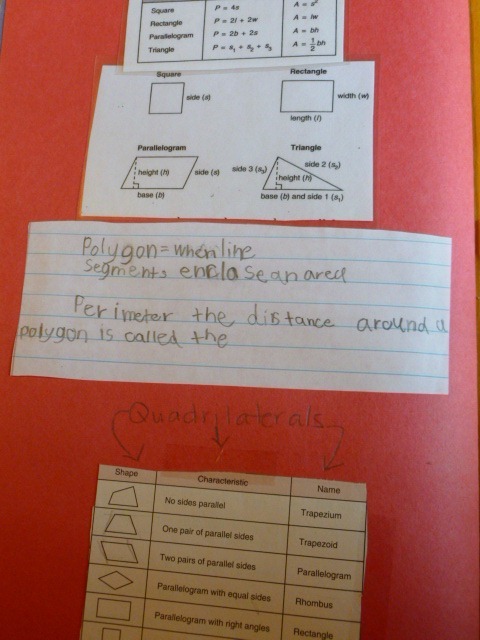 This entry was posted in Math, Some Schooling and tagged curriculum fair, HomeSchool, Math, Miquon, virtual. Bookmark the permalink. 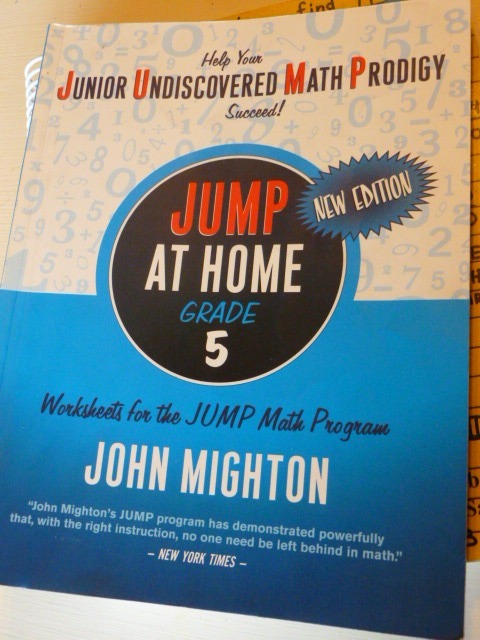 Timberdoodle recommends pairing JUMP Math with Mathematical Reasoning Book 2. After your experience, would you do them at the same time, or separate them so that JUMP Math was done one year and then Mathmatical Reasoning a later year? 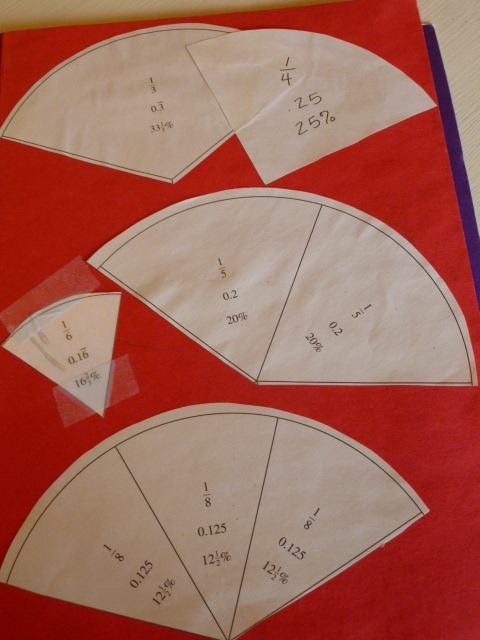 If a student is “playing catch-up” because of LDs that delayed his understanding of math, would you focus on JUMP Math until they are ready for TT Pre-Algebra, or would you try to squeeze in/supplement some how with Mathematical Reasoning, too? 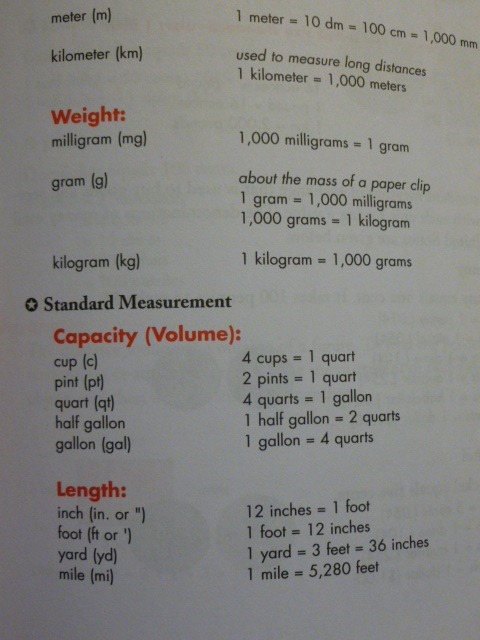 I will have to look into the Teaching Textbooks for my oldest. It sounds like something he might like. 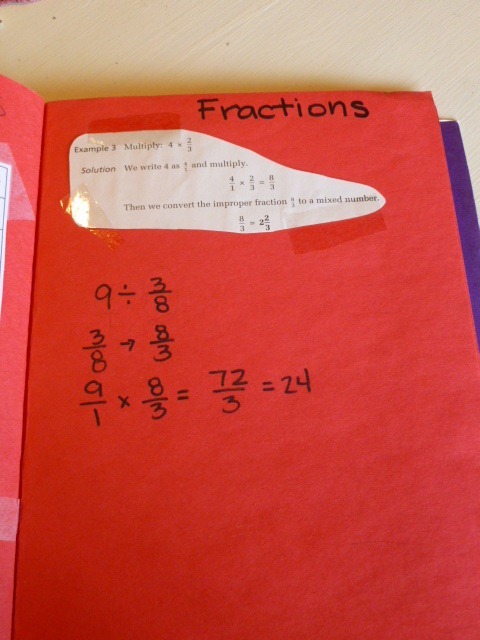 I am going to make a math lapbook for my youngest children. They are both dyslexic and have a very hard time remembering math facts. Great idea! 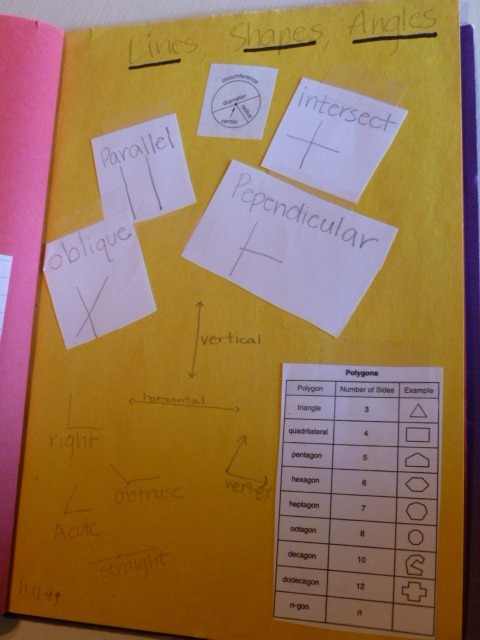 When I discovered lapbooks, I was sooooo excited….but I never thought to use them for math.! GREAT idea! 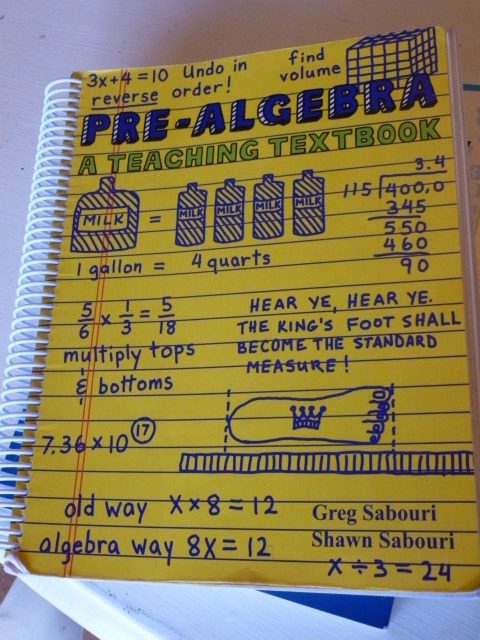 Ever think of just having your son do the tests in the pre-algebra? That way you can tell what he already knows and what he doesn’t. I love all the manipulatives Angie. 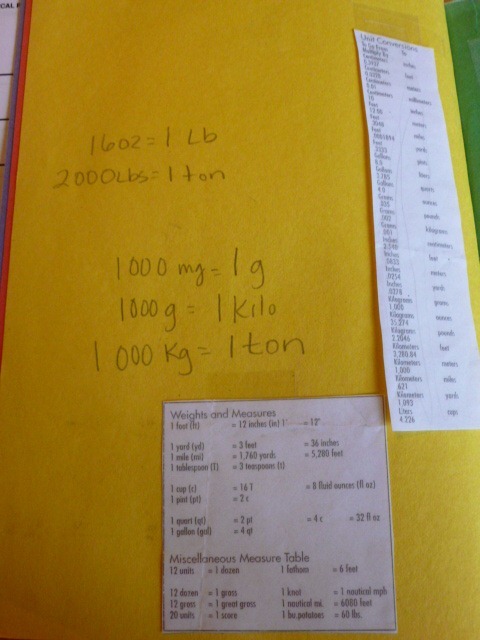 I’m laughing because I made MYSELF index cards with definitions mostly, but quantities too, some of the same things your children have on their pages! (Math was not my strongest subject, although I’m really enjoying it this time around!) Anyway, it was easier to refer to my index cards when my dd10 had a question rather than trying to page through our unindexed teacher’s guide…I suppose I should’ve been directing her to create a resource book! 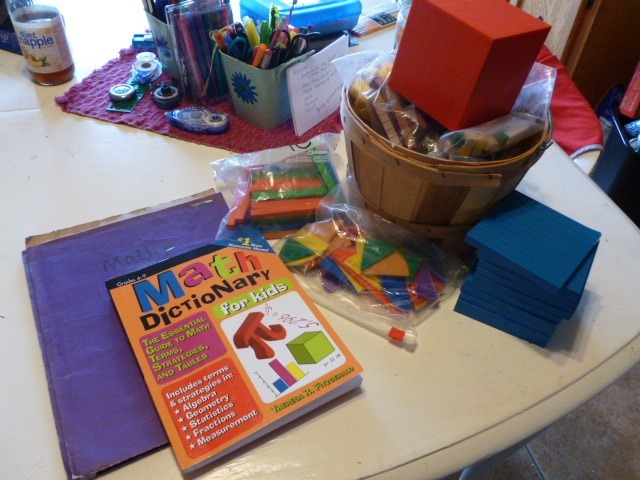 Ah well – this is why I love homeschooling. Great community sharing great ideas! We’ll be doing something similar this week! Thanks so much for the inspiration!